Frankly, I suspect that for every house of worship availing themselves of social media there is another out there somewhere exhorting the evils of such ‘worldly trappings’. 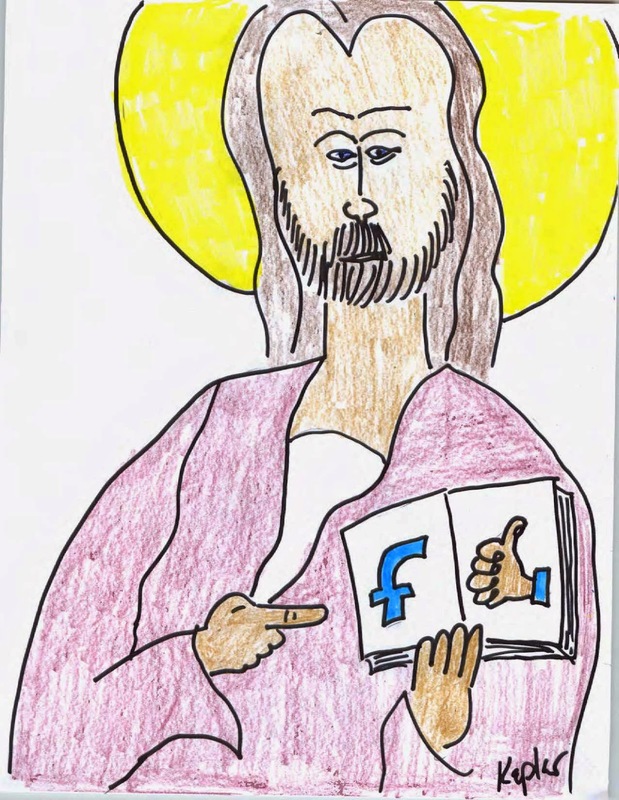 I think I even heard of a pastor who delivered a sermon encouraging his congregation to quit Facebook altogether. I may have misunderstood that message, but I have seen several people declare a ‘fasting’ from Facebook for a time. Craig A. Corbin: Speaking of the Holy Spirit, I was a practicing Wiccan and Pagan leader in the Covenant of Unitarian Universalist Pagans for over twenty-two years. I had been a Charismatic Christian in my very young adulthood and turned from Christian faith in a very bitter and hostile manner. 3 1/2 years ago, an old friend that I had not seen in 23 years from my Charismatic church had then recently friended me on facebook. I had announced that I was having back surgery on facebook and he asked me if he could visit me while in the hospital. As I laid in ICU, very weak (but stable), he asked me if he could pray for me. I said yes and allowed him to pray and I kept an open mind. He later left and after an hour or so I had fallen asleep. I was awakened by a golden light and warmth that began to saturate every fiber of my being. I was stunned and amazed and I realized that I was being visited by the Holy Spirit of the God of Abraham, Isaac and Jacob. Tears of shame, joy, pain, jubilation, fear, and comfort streamed from my eyes uncontrollably. As I wept I cried out unto the Lord. I asked Him to forgive me for my heresies and my hedonism. I vowed to Him that I would never deny Him ever again. I found myself at the foot of Calvary after many many years of rejecting Him. It was later that year when many of you in the liberty movement met me. I had been going to different churches and visiting, looking for a home church. I knew of a friend that was once very active in my UU Pagan group that had converted to Orthodox Christianity and I contacted her to ask about visiting. The first time that I visited at Holy Ascension in Norman, I entered at the lower level through the fellowship hall door. I knew absolutely nothing at all about Orthodoxy only that Greeks and Russians went to those churches. When I walked into the fellowship hall, there I was instantly saturated by that same golden light and mellifluous warmth that I had experienced in my hospital bed. I knew that I was home and have been on the Orthodox Christian path ever since. How dark it is before dawn! Even a heretical reprobate as myself can be forgiven and walk in grace! Christ is risen! Reece Kepler: Wow. Awesome testimony, Craig A. Corbin. You are one mighty Man of God! Craig A. Corbin: Speaking of that friend! Reece Kepler is that friend who prayed for me in the hospital! Reece Kepler: Hey, I was just visiting an old buddy - a brother in the Lord. I knew you had gone out and acted unlike Christ (but who hasn't, to some extent). I had no idea how deeply you had separated yourself from your Heavenly Father. I am honored to be the guy that prayed for (and with) you, but it was the Holy Spirit that visited you that day that made the difference! I hadn't heard that part of the story until now. Awesome! Craig A. Corbin: I am and will be forever amazed at that day Reece! Thank you for your kind words. I can only reply it is His Holy Spirit within me who is mighty! I thought that you knew more of the story. I remember when you asked me: "Why Orthodoxy?" I replied: "Because the Holy Spirit directed me so." You said something along the lines: "The Holy Spirit, that's good enough for me!" I continue to be amazed how our Lord has used and uses Facebook to make connections and do His work!